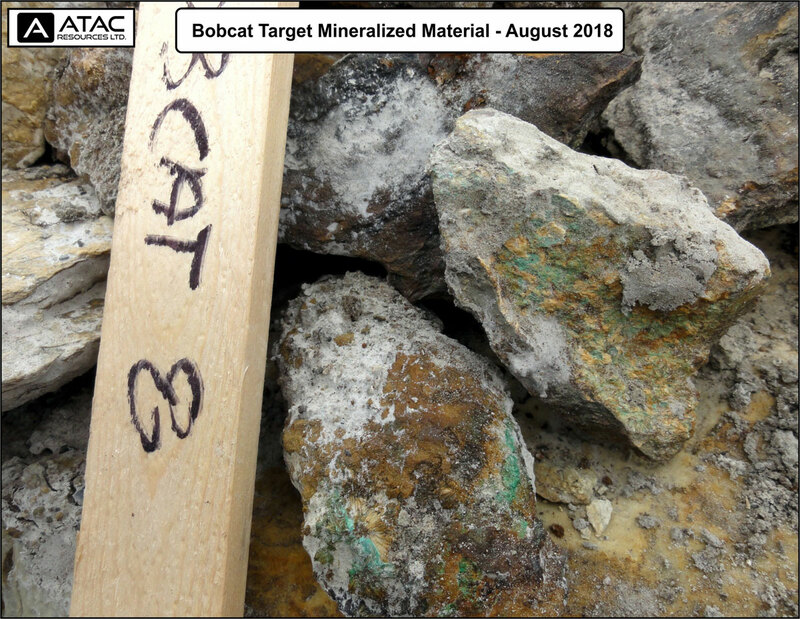 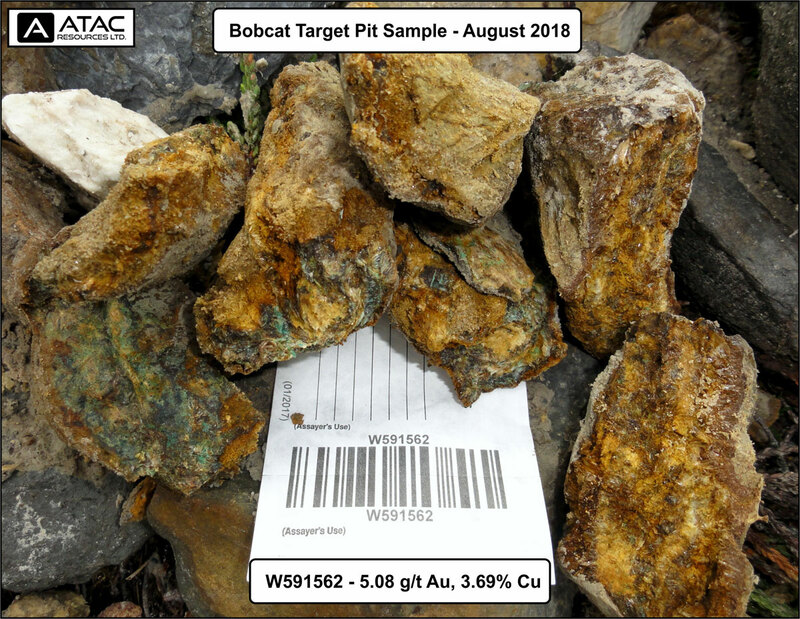 ATAC Discovers High Grade Copper-Go… | ATAC Resources Ltd.
August 21, 2018 - Vancouver, BC - ATAC Resources Ltd. (TSX-V:ATC) (ATAC” or the Company”) announces that is has identified significant gold and copper skarn mineralization at the Bobcat Target, located 4.5 km southeast of the advanced-stage Tiger Gold deposit. 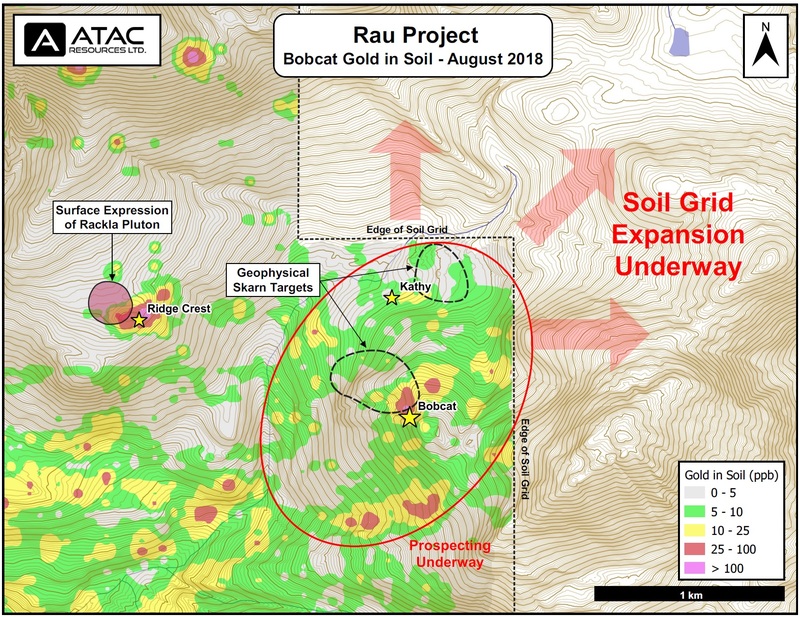 Bobcat is located within the 100% owned Rau Project at the western end of the Rackla Gold Property. 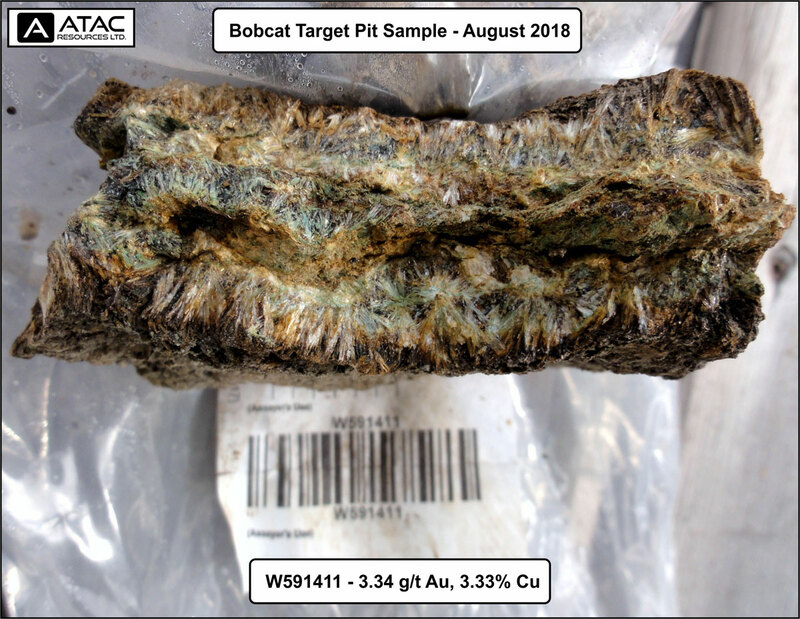 Mineralization at Bobcat is typically hosted in gold-copper bearing tremolite veins with varying concentrations of chalcopyrite and copper oxides. The mineralization is characteristic of distal, retrograde skarn alteration related to an intrusive center. 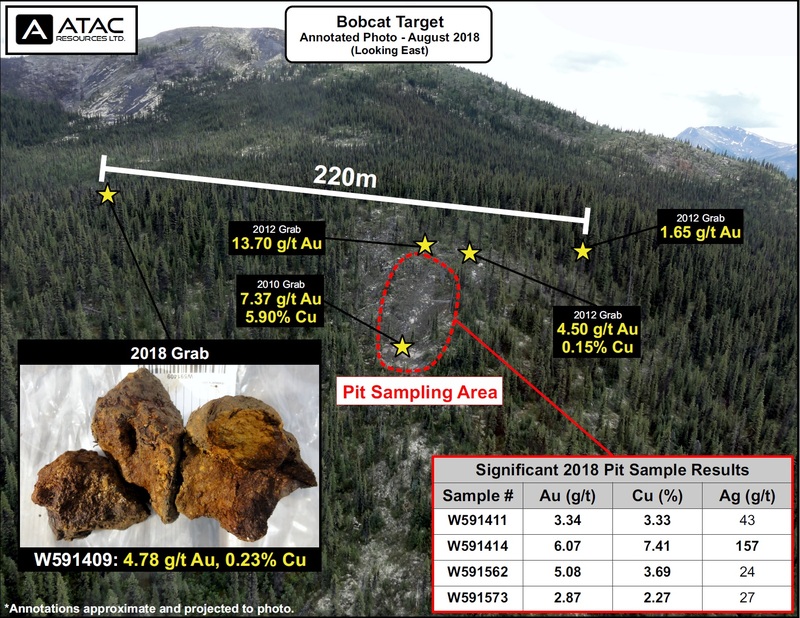 Marble development mapped locally within the target area further supports a distal environment and suggests this particular locale likely represents the marble front” or outward boundary of the skarn system. Potential deposit-scale mineralization is likely to occur to the west-northwest, between the marble front” and the Rackla Pluton. 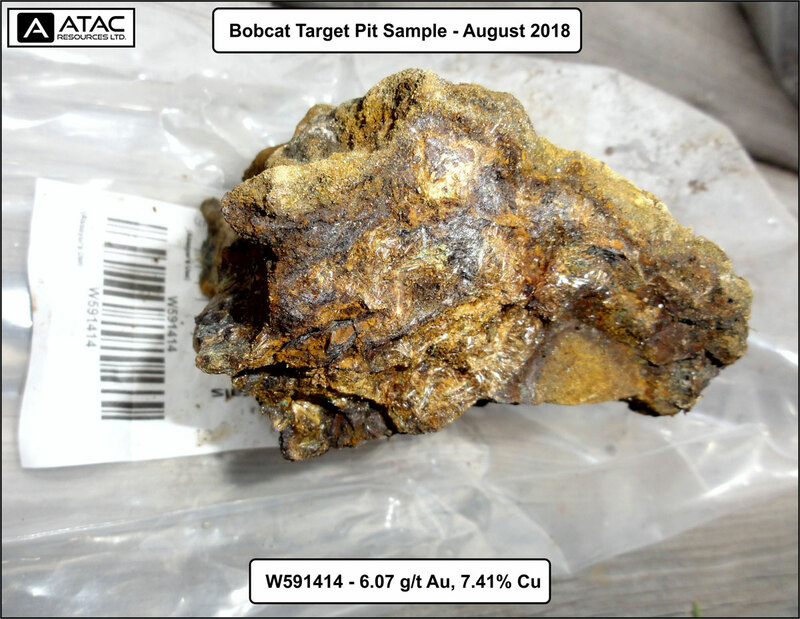 Follow-up work around the Bobcat target and the surface exposure of the Rackla Pluton is highly warranted due to the recent prospecting results and proximity to infrastructure.